Trace a friend’s profile, also known as a Silhouette, onto a sheet of paper. Then, sit still as you have your silhouette drawn. 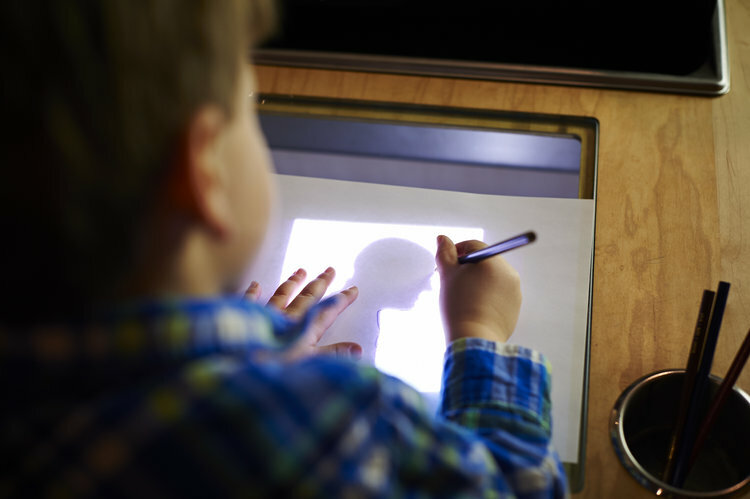 Tracing requires concentration and careful attention to the person sitting for the portrait. Once drawn, silhouettes can be displayed and compared – allowing participants to note the similarities and differences in each other. 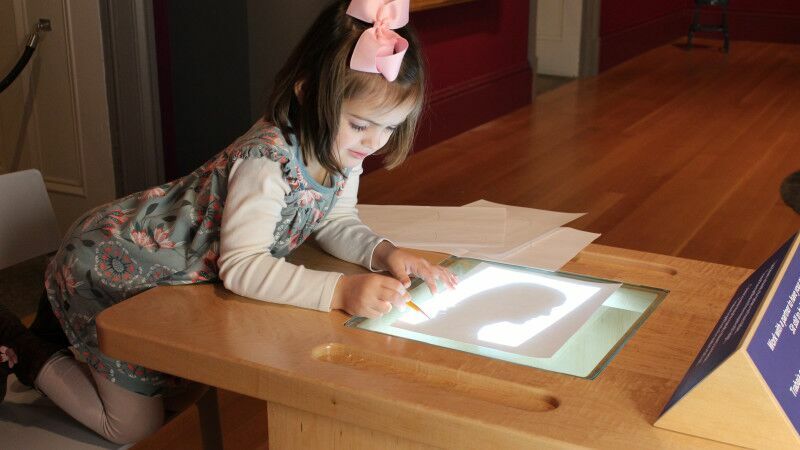 This unique set up of light boxes make the process accessible to all ages and abilities. The component consists of a LED light box, a camera and drawing station, all connected with a floor platform that puts everyone in the right position to create a clear profile in shadow. The exhibit requires 110VAC. The complete unit is 75”W x 94”L and is ADA accessible. The component is designed to be operated by remote control to facilitate daily operations. An optional gallery wall with clips lets visitors display their portraits. Other customizations and custom graphic design are available upon request. Contact us for custom pricing and specification details.